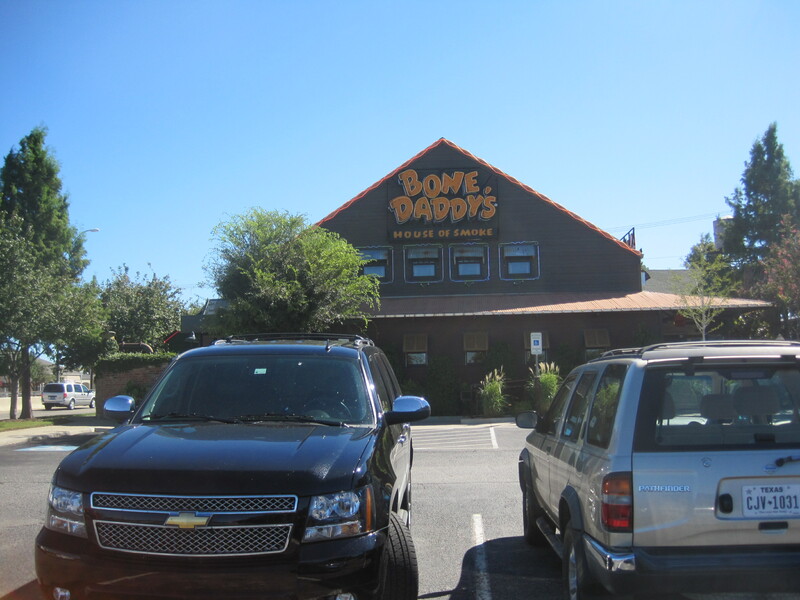 Bone Daddy’s is a restaurant that’s easy to miss in an evaluation. It’s a barbecue restaurant in Texas, but their best barbecue may be their smoked chicken wings. It’s a restaurant with a largely female staff dressed in a revealing style: short skirts, tight leather vests. The staff is professional in my experience, very much so. Asking staff what is good here won’t hurt you a bit. I did a bit more than that. I asked waiters in restaurants nearby. 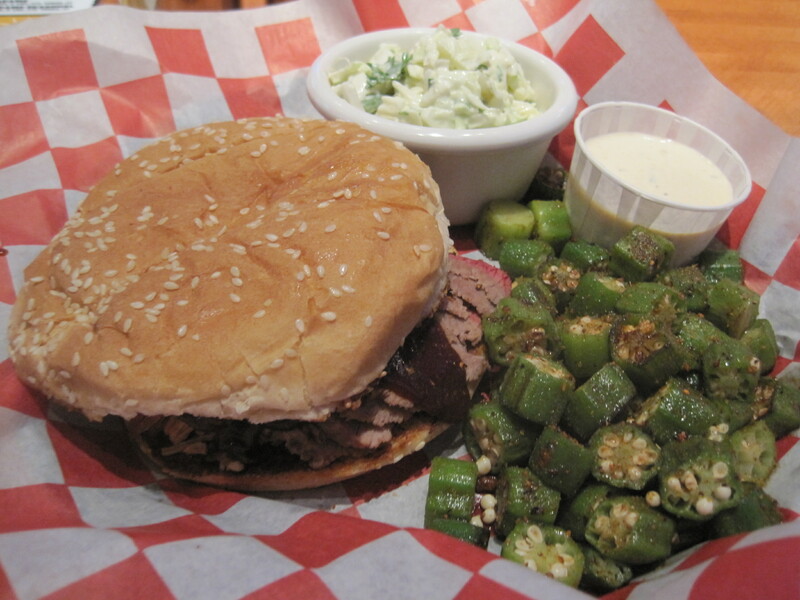 They pointed out the strengths of the food aren’t in the traditional sliced brisket, but in other dishes, like their stuffed jalapenos and their wings. 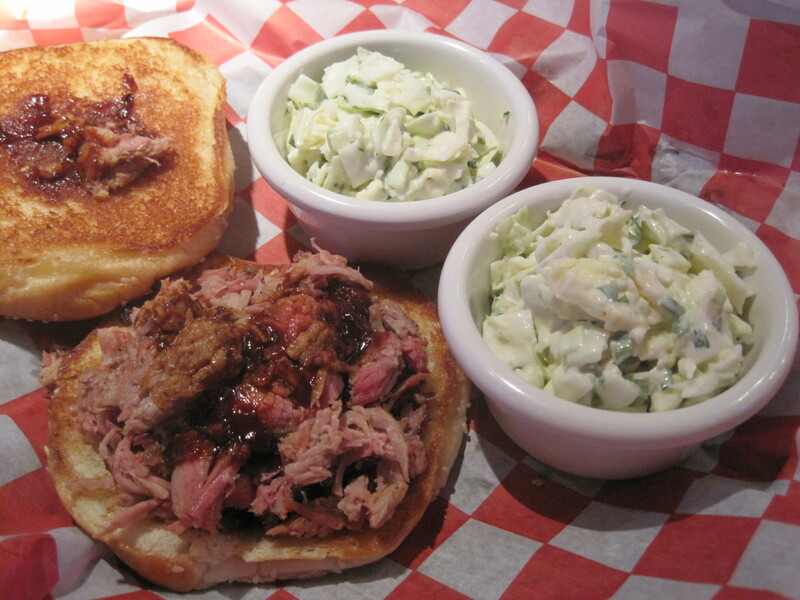 On one of the days I showed, the chopped brisket was better than the sliced. Ask staff what is good here. Sliced brisket sandwich. Not bad, but other meats are better here. Their chopped brisket was more flavorful than their sliced. 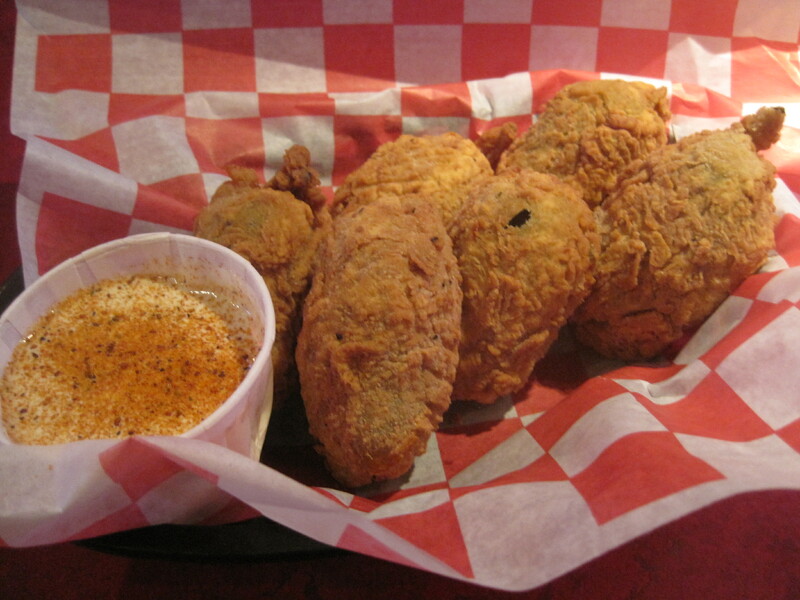 The stuffed jalapenos are excellent, with BBQ chicken and cheese. 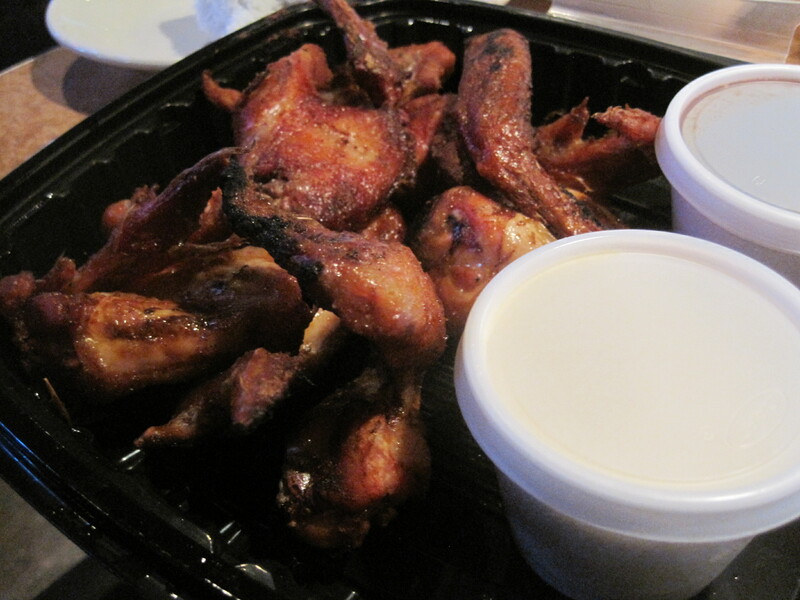 The smoked wings are the “must order” here, richly smoked and delicious. This is a good spot to watch football. Get seated in the right spots, and you’ll have wall to wall televisions on either side of you. If a local team is playing, the effect is pretty amazing. Beers here run from American industrial beers to craft beers. The craft beer selection tends to Texas brews, Southern brews, and tends to lighter beers (witbiers, pilsners and the like). That said, even if you tweet every beer you’re served via Untapp’d, you should find plenty to drink here. One last word about staff. Often staff in restaurants of this kind have the habits of incurably spoiled brats, spending more time with friends and themselves than their own customers. I saw none of this here. The impression overall was of a professionally trained staff that knew what they were doing, giving both large parties and small groups adequate time to order food. There is a lot of tag team staffing here. On a typical day, multiple staffers will be involved in delivering food to a single table. My impressions may been affected by the staffer I had on my first visit, who later I found was a part time bartender. That leads to the last word of advice if you’re in a restaurant whose pretty girls are part of the routine: if you can’t get enough service, head to the bar. The best of staff will be there. They will be the most busy, but you’ll get treated right. 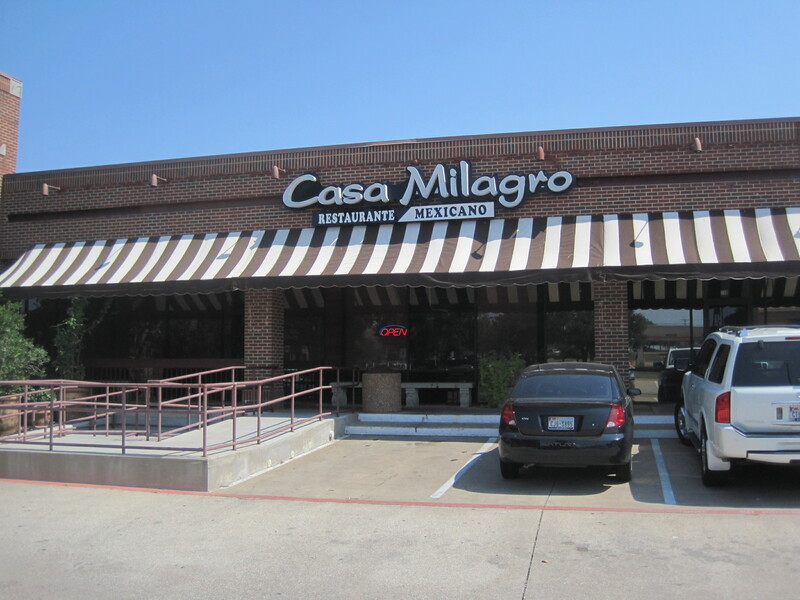 Casa Milagro is a highly regarded Richardson restaurant, and checking out reviews by Regular Joe and Bill Hensley, I decided it was promising. It was close enough to the hotel to make it worth a trip, and this eatery ended up being my #1 target while in Texas. There was no guarantee I’d have family, as my daughter and wife were attending a Supernatural convention at the time. With some luck, my family was available for a late lunch, so we headed up US 75 to this eatery. It’s in a L shaped strip mall, and the restaurant itself is back from the road. Inside, it’s neat, unassuming, clean, and efficient. 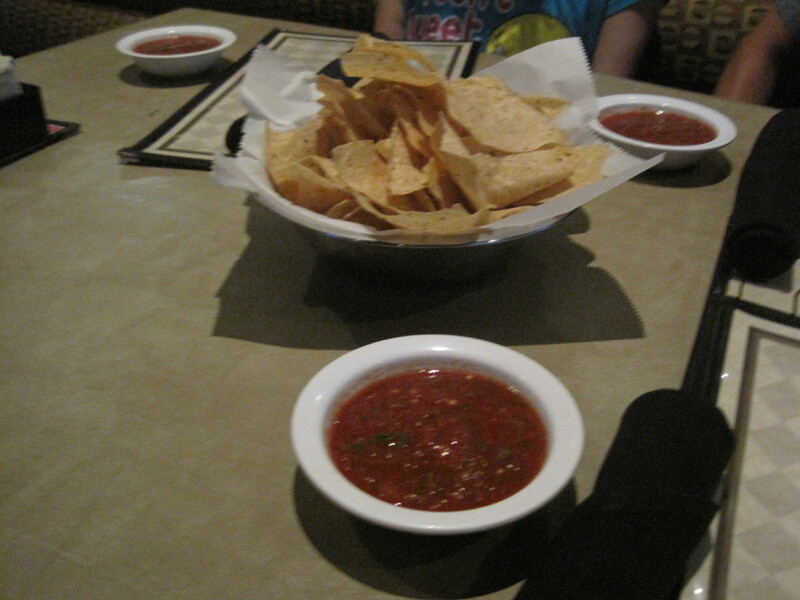 Salsa and chips are free with the meal. The salsa here has plenty of cilantro, the red having a bite you don’t get in Atlanta. The chips were dry. Eight different kinds of “honest to God” chile rellenos. 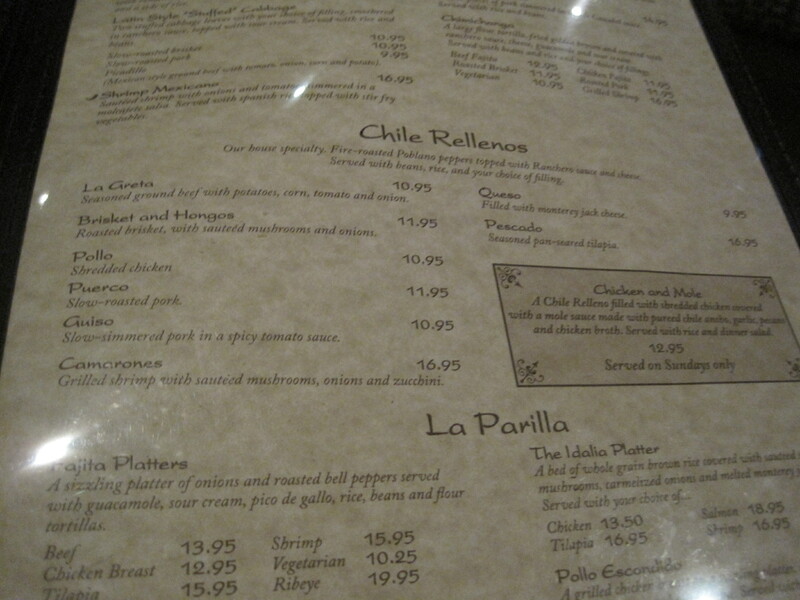 One of the things I was looking forward to from a Texas Tex Mex eatery was a chance to get a real chile relleno. You don’t see very many good ones in Atlanta. And very often, ordering a chile relleno in Atlanta gets you a ring of bell pepper with 3-4 tablespoons of ground meat in the middle (if Atlanta Tex Mex serves a real chile relleno, they will call it a chile poblano). 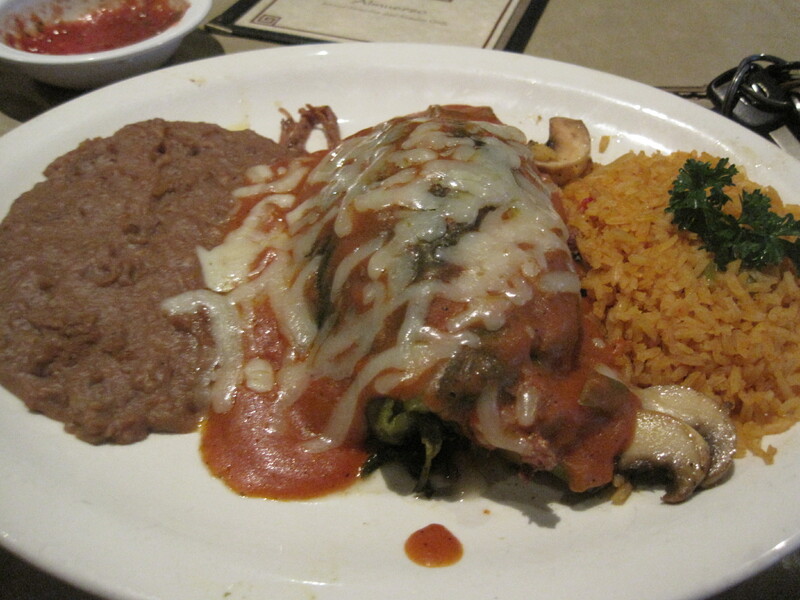 So, to my great pleasure, Casa Milagro served 8 different kinds of chile rellenos. I ended up ordering the brisket and honchos relleno. My wife had a pair chicken enchiladas with a tomatillo sauce, and my daughter had enchiladas de guiso, cheese enchiladas on which pork guiso, a Mexican pork stew, was poured. 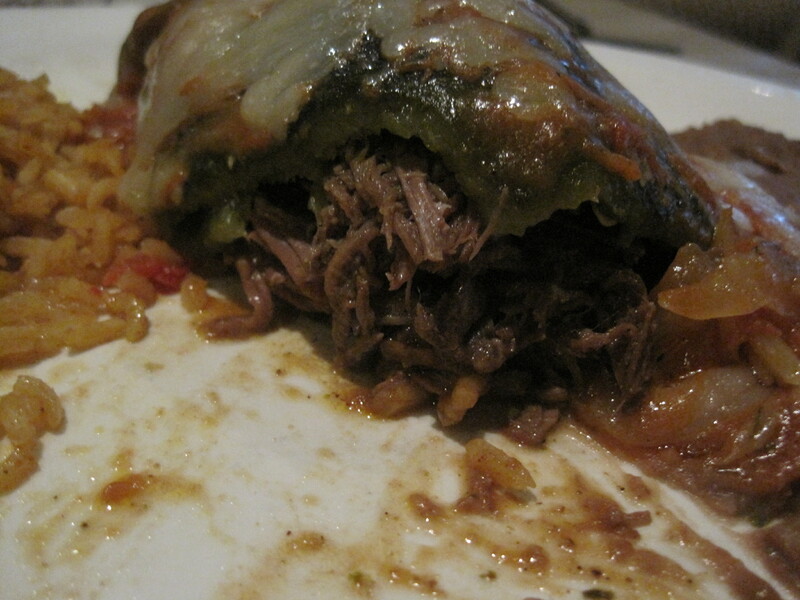 A real chile relleno, stuffed with brisket and mushrooms. 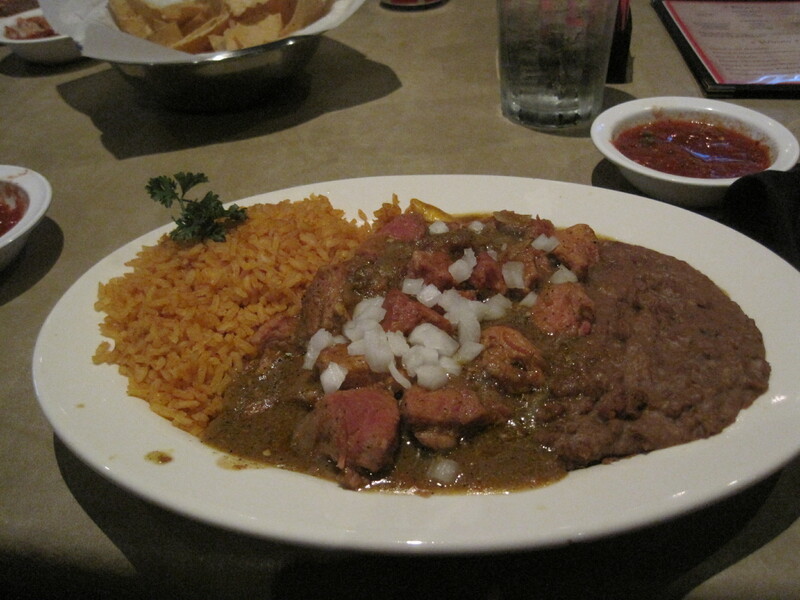 Enchiladas de guiso, the hit of the meal. 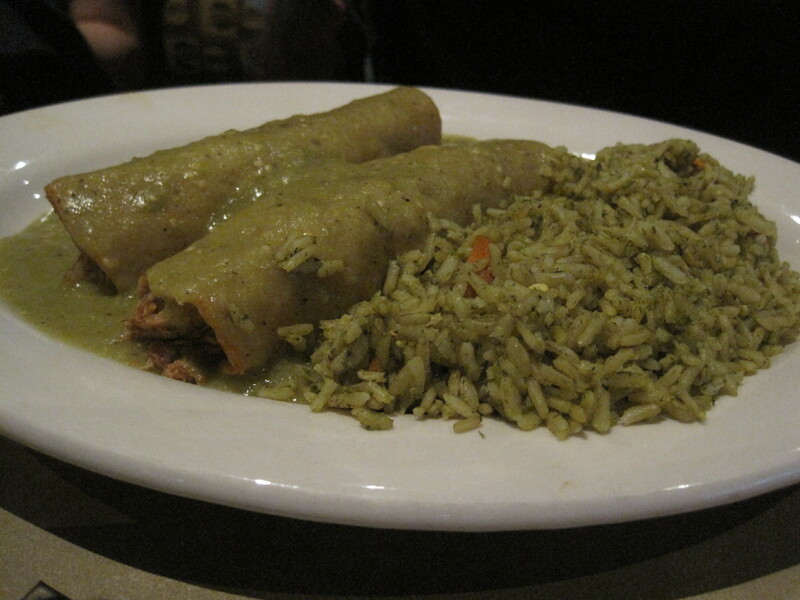 Chicken enchiladas with a tomatillo sauce. Brown rice was the side. The favorite dish of the meal was the enchiladas de guiso. We all thought it had more flavor than anything else we ate. My relleno was pretty popular as well. The tomatillo sauce on my wife’s enchiladas ran a little more sour than what she was used to, but they ended up being finished as well. All in all, Casa Milagro served a really fine meal. We left happy we had been to Casa Milagro. The Impalas. 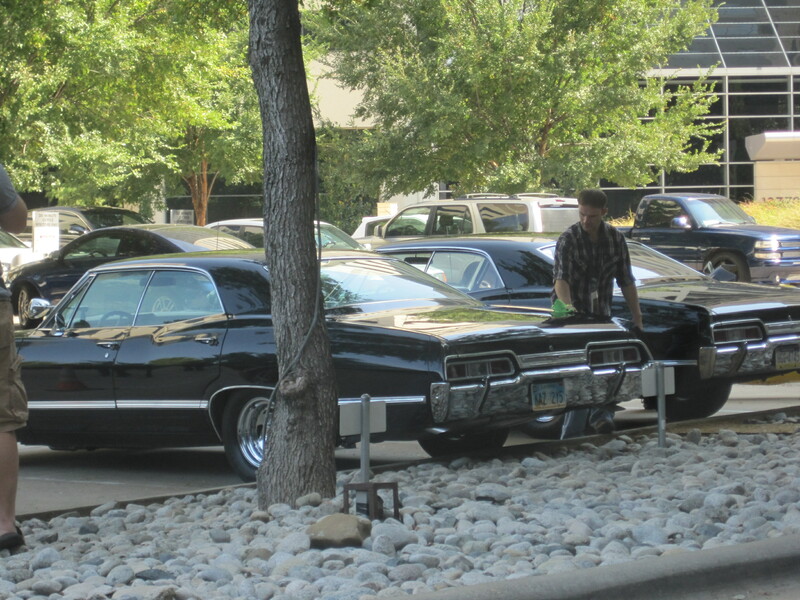 Supernatural fans will know what this means ;). PS – for those unfamiliar with pork guiso, the Busy Gourmand has a nice article on this Mexican stew.